Freddie – Year 2 – for following instructions FIRST time ALL day, listening well and answering some great questions! WILF will be visiting class 5 for 100% attendance. Jessica will be visiting class 9 for 99.7% attendance. Once again, another enjoyable and busy week in school. On Monday evening, our staff meeting concentrated on meeting the ‘expected standard’ and ‘greater depth’ in writing throughout the Primary years. We looked at the materials sent to us by the Department for Education and the standards that they deem to demonstrate the expected and greater depth standard. As a school, we are constantly aiming higher and are working on ways in which to challenge some of our children even more, whilst still making their writing experiences fun, real and enjoyable. Tuesday was a very long day; spent in many a meeting and ticking off items on the ‘things to do list’. 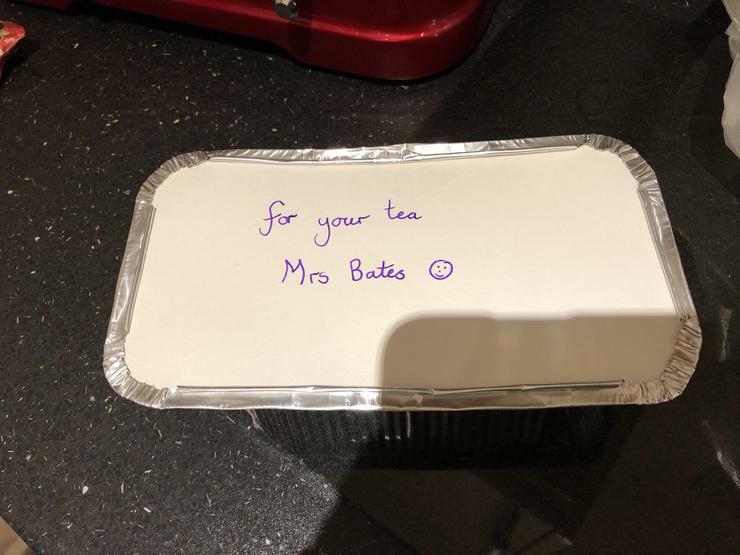 But, what a joy it was when Mrs Barrowcliffe presented me with a surprise at 7pm when I left school; a scrumptious dinner in a foil container saying, ‘For your tea, Mrs Bates J’. 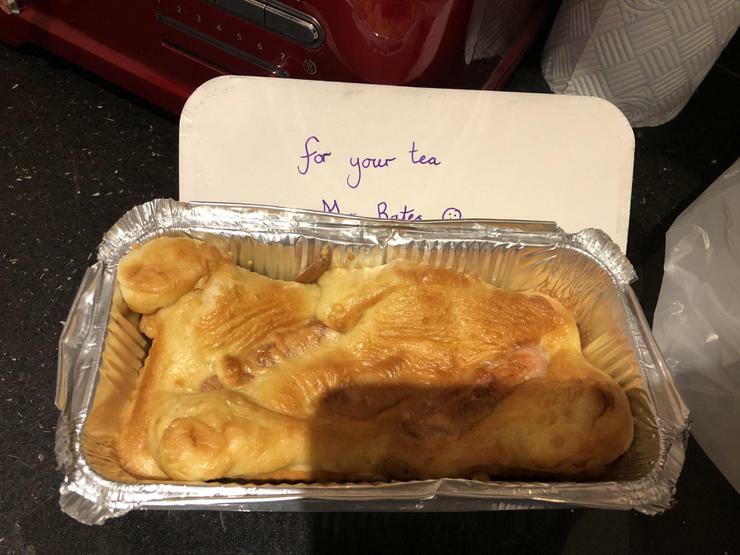 I was delighted to see that Tuesday night’s afterschool cooking club had cooked me my very own, rather large, toad in the hole. 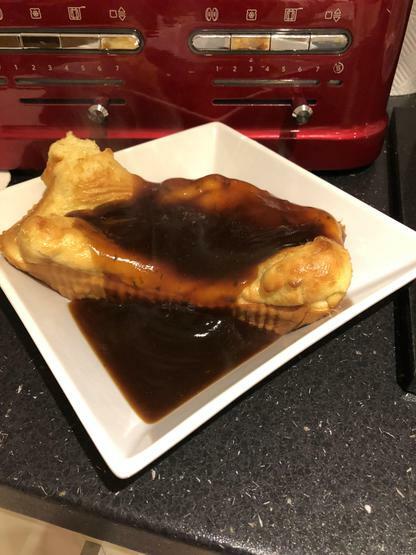 Following a disastrous Tesco delivery at 8pm, it was true fate and absolutely delicious! Just look below at the photos! 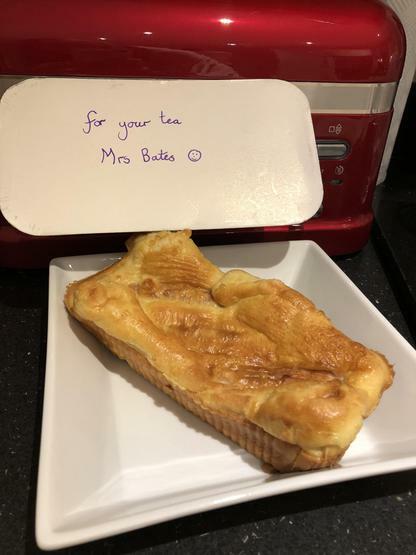 It totally made my day and my little note from the children was delightful! My husband really was rather jealous. I really am looking forward to apple crumble next week. Thank you, children, and thanks also to Mrs Barrowcliffe for arranging and organising such a great club. Currently, year 6 children are beavering away in their SAT boosters on a Tuesday evening, but we promise to make such a club available to them later in the year. This week, the children have been thinking about the 13 words we have chosen for the new school vision and have been helping the staff to write their own school vision statements. On Monday, these will be very useful as we are meeting with governors and all staff to put together what the new vision may look and sound like. Exciting! Gold book was brilliant this week, and I loved presenting the news about our first ever ‘Top Table’ for lunch on a Friday. 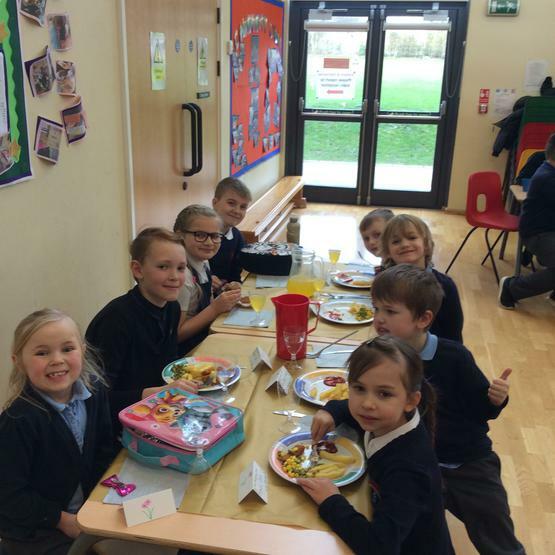 The children have been awarded for their manners in the dinner hall this week, helping others when needed, making more of an effort when eating their lunch and generally being helpful to the dinner staff. I think the photo below reflects their delight at such a reward. A great week in school and a well-earned restful weekend for everyone. Have fun!